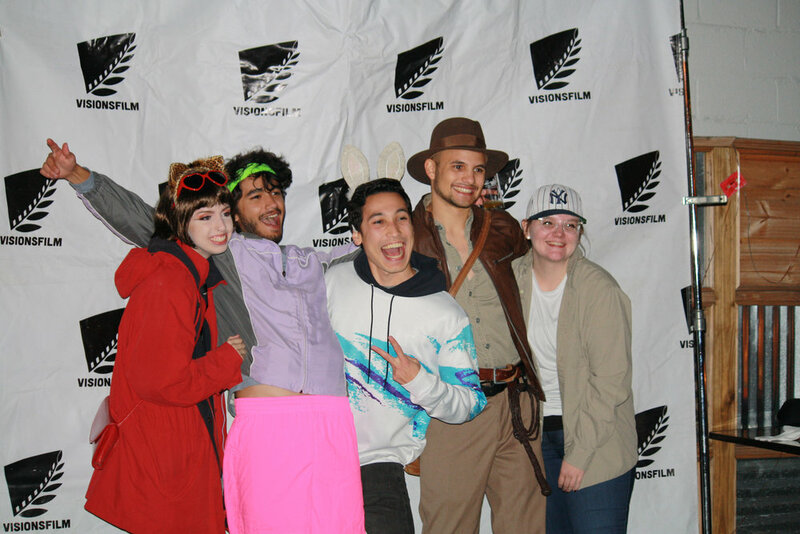 Kicking off the Visions 8 Film Festival & Conference Entry Season was a blast! On October 25th, the Visions 8 staff met (dressed as their 80s icon or movie character of choice) at Dubliners Pub in Downtown Wilmington for the Call for Entries Launch Party. Music, dancing, laughter, and air-guitar contests came together to create one hauntingly good party! This night could not have been pulled off without the hard work of our Visions staff or the help of our generous sponsors. We’d like to send our thanks to Dubliners Pub, Halloween & More, Fanboy Comics, and Gravity Records. Without your help, no shivers would have run down our spines. Check out our recently opened Call for Entries on FilmFreeway for more information, and keep an eye open for more announcements here on our website or on any of our social media platforms.